Life contains much more than just work and study, so it is important that every student’s school years provide the foundations for a rich and diverse life experience. Within the Senior School, the extracurricular program gives students countless opportunities to explore and broaden their experiences, while developing skills and attitudes that will lead to life-long participation in healthy and fulfilling recreational and cultural activities. An enormous range of extracurricular activities are available to the students encompassing sport, music, the arts, tours, community involvement, competitions and clubs. The Cathedral School students are active members of their community and the school provides genuine opportunities for service to others. Students are encouraged to take part in a wide range of opportunities that exist throughout the year. Projects include brightening the lives of children through visits to hospitals and kindergartens, collecting items for Operation Christmas Child regular reading programs, and running events such as discos and carnivals. The ANZAC Day March is a highlight as is Cancer Council’s Relay for Life Daffodil Day and the Red Cross Blood Bank visits. The Leo Club at The Cathedral School provides an opportunity for students to actively participate in community service activities, as a youth group sponsored by Lions Clubs International. LEO stands for Leadership, Experience and Opportunity – and hundreds of Leo members have reaped these benefits in the 15 years since the club was formed at Cathedral. They learn to conduct meetings, organise projects and work together to achieve their goals. The attitudes and skills developed within Leos will be with them for life. The Cathedral School provides many opportunities for students to actively participate in the various clubs that operate within the school. Clubs such as Japan Club, Book Club and Chess Club operate at lunch time or after school. The Toastmasters’ Gavel Club is one of the largest and longest running clubs within the school. The Cathedral School Toastmasters’ Gavel Club helps students develop their public speaking skills, as well as improving their confidence performing in front of an audience. The Club has been operating for seven years, and is open to all students in Years 10, 11 and 12. The Club is registered with Toastmasters’ International and is run according to the guidelines outlined by this organisation. Students elect their executive to lead the Club each year. We meet weekly with the meetings lasting for approximately an hour and a half. Meetings are preceded with the very popular afternoon tea. The year culminates with a Graduation Dinner where students perform in front of their parents, friends and teachers. Ralph Smedley, the founder of Toastmasters, said that we learn best in moments of enjoyment. Judging by the laughter emanating from our meeting room each week, he was right! Just like sporting students measure their success through competition, academic students also need competition. The school encourages students to participate in the large number of competitions which include the ICAS Mathematics and English, Language Speaking, Debating and Chess, to name a few. "Healthy body - healthy mind - healthy life" is a philosophy that underlies the policy of incorporating physical education and outdoor education as an integral part of a Cathedral School education. We aim to ensure that, through regular and enjoyable involvement in a range of sports and physical activities, our students will develop skills and attitudes that will lead to life-long participation in healthy recreational activities. From Early Childhood to Year 12 students take part in age-appropriate physical activities from swimming and fitness routines to all types of team sports. Enthusiasm and team spirit are evident in the interhouse sporting events where all students participate in friendly and inclusive competitions. Countless opportunities also exist for students to compete in regular interschool sports, to gain places in representative teams at district, state and national level, and to take part in international sporting trips. A number of Day Students and Boarders participate in club sport teams and the school is very involved in with Netball, Rowing and Rugby Union. The Cathedral school has developed a very successful netball program in which players can compete at many levels. Locally we compete in the Townsville City Netball Association competition on Wednesday nights. Girls from 7 to 18 years of age are eligible to participate in this competition. In 2014, 22 Junior, Middle and Senior teams competed. It was a very successful year, with 10 of the eligible 17 teams reaching the finals. We also compete at an interschool level, with our first senior team entered into the Vicki Wilson Cup each year which is a State-wide secondary schools competition. Players also have an opportunity to compete internationally. Biennially two netball teams are selected to tour the United Kingdom during the September/October holidays. All Year 11 and 12 Cathedral netball players are eligible to trial. The Cathedral School runs a comprehensive rowing program for students in Years 8 – 12. We compete annually at a local, state and national level and have competed internationally at the Henley Royal Regatta in the UK since 2008. All Year 8 students have the opportunity to participate in a Learn-to-Row program, which runs twice a week for all of Term 1. This program introduces the students to the basic technical skills of sculling, both on the water and on ergometers. It emphasises teamwork and participation through single, double and quad sculls involvement. In Terms 2 and 3 the competitive school team of over 80 rowers, compete in five local All Schools regattas, and two Interregional regattas. 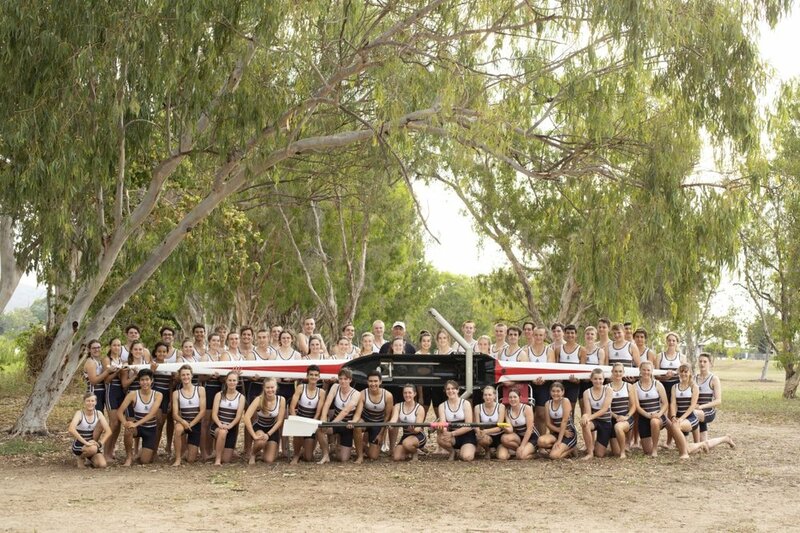 The local season culminates the Head of the River and State Schools Rowing Championships. Our crews are successful because they are highly-skilled. Thanks to the elite coaching standard of Head Coach, Stephan Muhlenberg they show incredible determination and hard work, and are passionate about supporting each other to perform at the highest level. Our rowing program thrives on parental support and is one way to help nurture students to become independent, organised athletes. We have dominated the local Townsville competition for the past 13 years but only do this by being organised, believing in our students and teaching them ‘that anything is possible if they work hard enough’. For more information about Rowing at The Cathedral School please contact Rowing Program Coordinator, Mrs Katrina Wilshire on 4722 2061 or email katrina.wilshire@cathedral.qld.edu.au. Students can participate in the Townsville District Rugby Union Competition from Under 10's. The competition is played Friday nights and Saturday mornings at the Hugh Street Rugby Grounds. The Cathedral School also competes in the Ballymore Cup, Queensland's largest schoolboy rugby union competition each year. There are three major Interhouse carnivals that students at The Cathedral School participate in. Competition is organised into age groups rather than year levels and students compete for their house to see who will win the coveted House Shield each year.  The Cathedral School participates in the Townsville Interschool Sports Competition. The primary interschool competition is played over 3 x 8 weeks seasons. Fixtures are played within school time starting at 12.30pm on a Friday afternoon. The secondary interschool competition is played over 3 x 7 week sessions. Fixtures are played on Tuesday or Wednesday afternoons from 4.00pm - 5.00pm. Music education at The Cathedral School is seen as an essential element in the cultural growth and the development of self-esteem of the individual. To play music combines behaviours that promote higher order thinking skills. Involvement in music can stimulate the brain and develop intelligence in other areas. It provides the opportunity for perceptual motor development and encourages the development of social skills, discipline and commitment. Playing music enriches one’s life, providing an avenue for self-expression and creativity, and can help prepare one for a career, if so desired. Being involved in music for its own sake can be relaxing, satisfying and stimulating. But above all music is fun. The Music Program at The Cathedral School aims to provide music education of the highest quality. It aims to balance traditional musical concepts with innovative musical experiences and to instil in the students the relevance of music education in our society. There are essentially three aspects to music at the school which are available to all students no matter what their level of experience or skill development. At The Cathedral School we believe that music is for everyone. Music not only enriches personal and spiritual growth, but has been shown to link with intellectual development and physical coordination as well. That's why Music at Cathedral plays a vital role in many of our school activities. If you already play an instrument we will find the right place for you in one of our many ensembles. These include bands, orchestras, choirs and chamber groups. The ensembles are supported by experienced and enthusiastic conductors and teachers so that we can always bring out the best in every student, from elementary musicians to those studying for their performance diplomas. For those who have never had the chance to learn an instrument before, Cathedral is the place for you. We strongly encourage all students who have never tried music before to take up an instrument. The Strings program begins in Year 3, and by Year 5 every student is receiving specialist tuition on an instrument as part of their normal curriculum offering. After only a few lessons they will find themselves as part of a band or orchestra. Singers can join a choir right away! In our music programme we encourage all students to develop their qualities of leadership, responsibility, discipline, commitment and teamwork. We want your participation in music to be a successful, rewarding and musically enjoyable experience. Students live in a world in which music has an important and pervasive presence. Whether actively engaging in music by listening (attending concerts, buying CDs and DVDs, turning on the radio), performing (learning an instrument, playing in a band, singing in a group) or composing (writing popular songs), or incidentally encountering music (riding in lifts, watching TV, using a mobile phone), students have an individual experience of music. Music is an integral part of everyday life serving self-expressive, celebratory, social, cultural, political and educational roles. As a powerful educative tool, music contributes to the holistic development of the individual. A study of music assists students in understanding and heightening the enjoyment of the arts in their lives and the music heritage of a range of cultures. Music is sound, and any experience of music is essentially and fundamentally aural. The study of music recognises this by centring learning experiences on the development of audiation, which is the process by which the brain makes sense of what the ear hears. Students build on the foundation established in the compulsory years of schooling by applying their developing audiation through an exploration of the musical elements within a variety of contexts, genres and styles to achieve the interrelated general objectives of performing, composing and analysing repertoire. Composing involves the creation of music in a variety of genres and styles by combining musical elements and compositional devices. Students are encouraged to move towards developing their own creative style. Performing involves interpreting musical repertoire by playing an instrument, singing or conducting. Performing may include solo or ensemble experiences. Analysing repertoire involves deconstructing music as a way of evaluating repertoire from a variety of social and cultural contexts. It also serves as a tool to enhance performing and a model to assist composing. It is not a requirement that students be able to play an instrument, however, students who learn an instrument are encouraged to study Years 9/10 Music as the course provides greater scope and developmental skills in a variety of dimensions not covered in private tuition lessons. Extracurricular lessons in Speech and Drama provide an opportunity for students to develop their oral skills and confidence in delivery, in both individual and group performances. This activity is provided by a private tutor and students have one group lesson (60 minutes) per week. Advanced students may have individual or small group lessons to prepare for Eisteddfod and examinations on request. Students also have the opportunity to participate in school productions. Junior School musicals and Middle/Senior School productions occur in alternate years. These are large scale events that involve large numbers of students taking part as actors, musicians and backstage crew. A Senior School play is also performed each year, allowing students to showcase their dramatic talents on a smaller scale. Students at The Cathedral School are invited to participate in a variety of regional, national and international tours.These include music tours, community service tours (for example, visiting and assisting at orphanages), sporting tours and language tours.